As the kids get older, I keep trying to find ways to explore new territories and heights with them. With the popularity of exercise trackers like FitBit which tracks steps, a lot more families are exploring on foot. 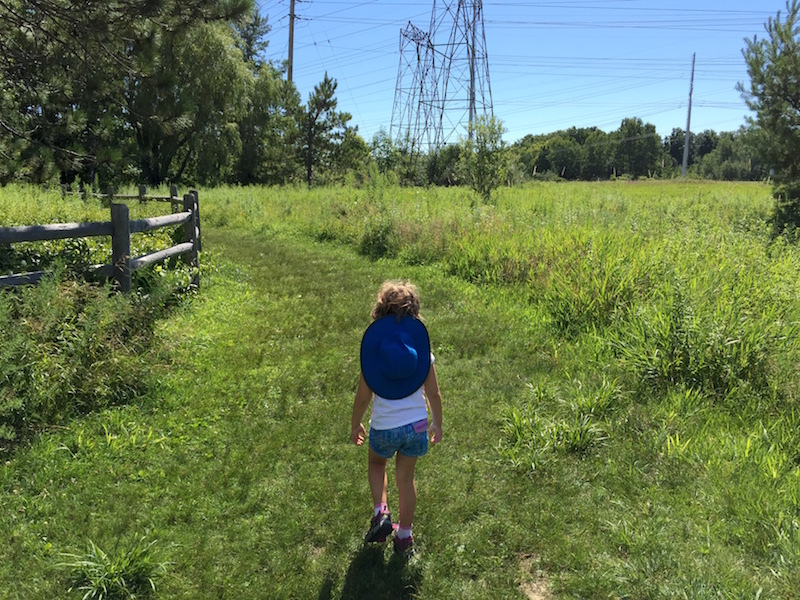 Hiking is one of our favourite activities and so I’ve put together this quick and easy kids hiking guide to help get your kids going. 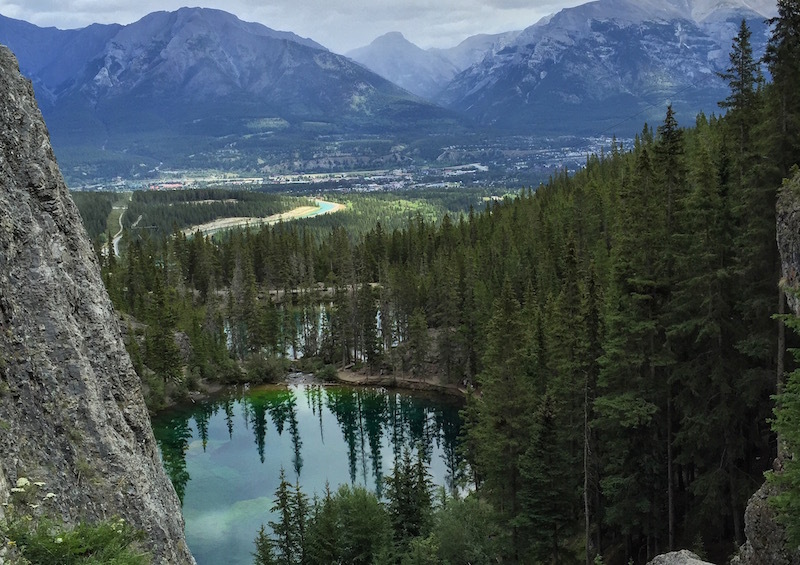 Last summer we fell in love with hiking in Banff, British Columbia. 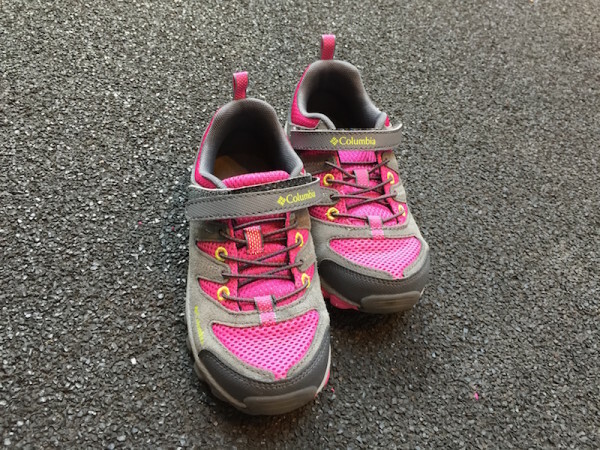 We also learned quite quickly that our kids would need actual hiking shoes after our first trek up the mountain which had a few more slip and falls than necessary. I headed to a kid’s hiking store in Calgary and picked up Columbia hiking shoes for Charlie and a pair of Keen shoes for Will. As we continued to hike, I was really impressed by the grip on Charlie’s shoes and now the whole family has picked up some for our weekly hike. 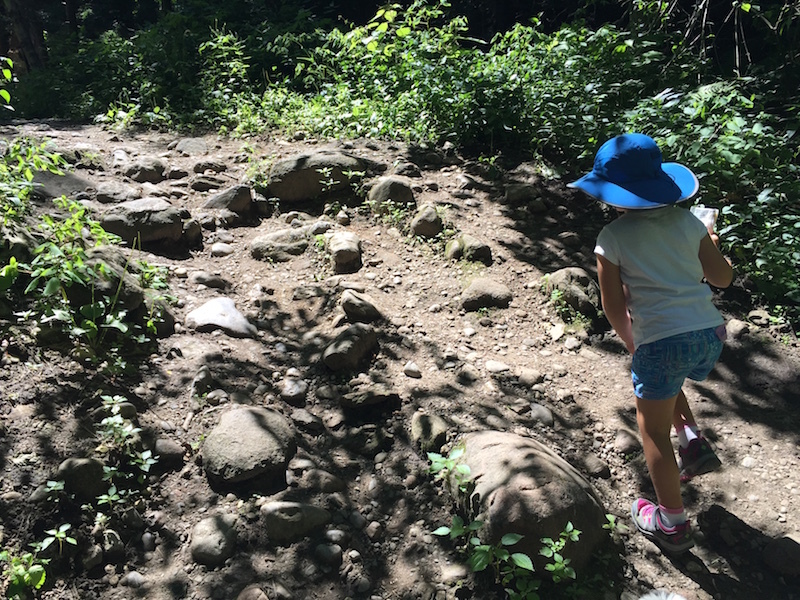 Besides good shoes, kids mostly just need regular clothes for hiking. I dress mine in layers particularly if hiking in the mountains. For our city hikes, they mostly wear normal active wear clothes although I prefer them in long pants even in the summer. The first hike might not be so easy. The second one will be better. Kids get used to routine. We introduced our kids to hiking on an easy trail that led to a waterfall. The pay-off was that once they reached the waterfall, they were able to explore and play. After that, I simply announced that we would now be hiking as a family every Sunday. Some days they are less enthusiastic than others. Sometimes they beg to go. The more walking they do, the easier hiking gets. Now we can easily complete a 10 kilometre hike without complaints. We also don’t skip hikes on vacation. 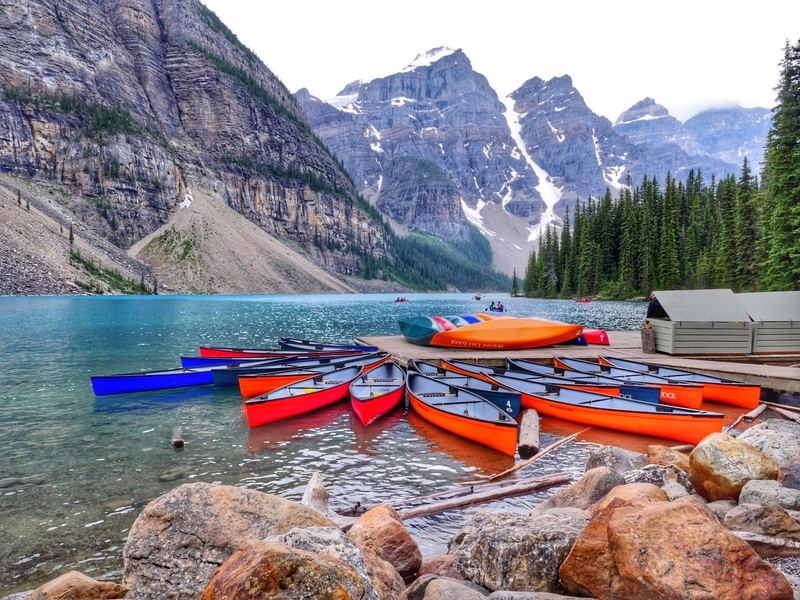 We simply add them in to our itinerary. I find that on days where we are going for a long hike, I like to make sure they’ve had a good healthy breakfast first. I also like to bring easy snacks on the hike with us. We usually bring apples and granola bars. I do find that you shouldn’t offer them snacks or suggest breaks too often but let them tell you when they are hungry or need a rest. We also all bring water bottles. Never go hiking with kids without enough water. Will, who can be a more hesitant hiker than Charlie, loves a good reward. I don’t like to reward the kids with things like food and so I like to find trails with built in rewards. 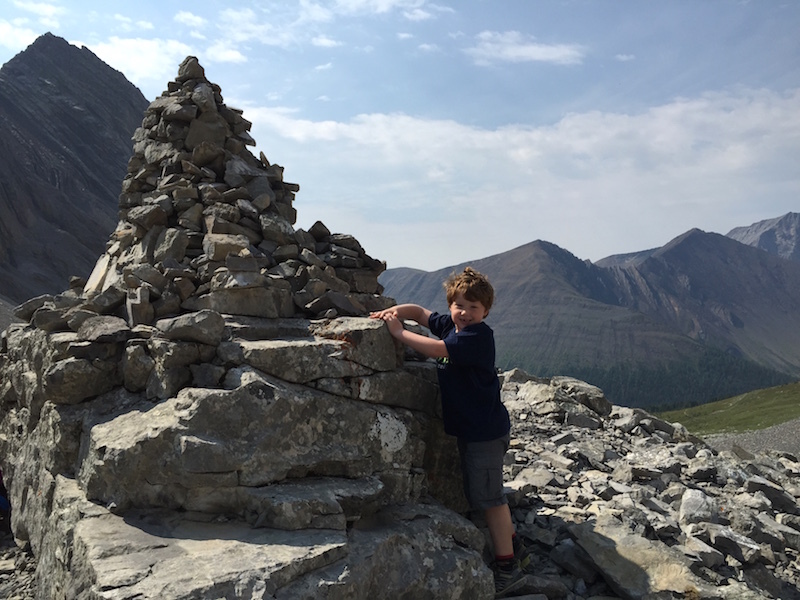 The first one we found was outside of Banff where at the top of a decent sized hill was a huge pile of rocks where hikers who completed the hike left a rock. Will loved the idea and asked to have his photo taken while he placed his rock on the pile. Often good hiking websites will tell you if things like this exist. Kids likes a challenge but push them too hard and it will take a while to rebuild that trust. If there is a hike you are interested in doing but you think it may be too much, look for alternative ways to do. In Banff, we were able to take Gondolas to the top of mountains and walk down them instead of walking up. In the kids’ minds, this seemed easier and therefore they were more confident that they could complete the hike. In reality, it was still quite a challenging hike and a lot of fun for all of us. 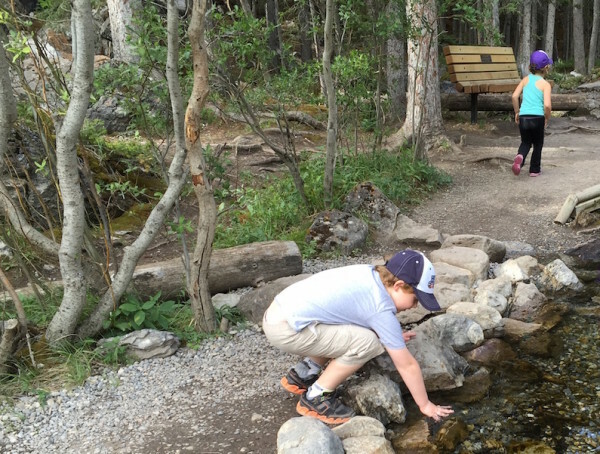 If you have begun a hike and you realize it may be a little too much for your kids, its easy to head back and plan a different hike for another day. I like to do this without really telling mine why so that they don’t get the idea in their heads that if they say it is too hard we will turn around every time. Long walks aren’t always fun. Still, it is really easy to make hiking fun. First off turn off your phone. This is the best way to spend time with your kids. Next, think of a few fun and easy games you can play while walking. We love eye spy and were introduced to a fun game this summer by our friends called “My Rock”. Basically, whoever sees a big rock in the path runs and stands on it and says my rock. Pretty simple but kids really love it especially if you play along. I also recommend letting kids bring a camera and documenting their finds. It helps them keep alert and the pictures are a good reminder of what they liked on the hike. This one is huge. If you are going to introduce kids to hiking, be the best example you can be. Stay on the marked trails. Don’t litter. We like to use the mantra “take nothing but photos and leave nothing but footprints”. It’s easy for kids to memorize and understand. Teaching them to be good hikers also means knowing your risks. 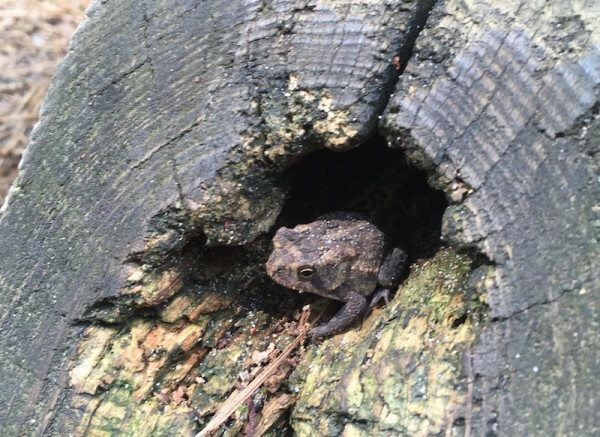 Because we hike a lot when traveling, we often need to look into what wildlife we may encounter on our hike. Being prepared with things like bear spray or knowing that there are venomous snakes along the way can save your lives. Whose ready to hit the trails? If you have great tips for hiking with kids to add to this Kids Hiking Guide leave them in the comments below! Love it. I think it’s great to encourage the whole family to be active, and it’s definitely something we strive for even when we feel we don’t always have the time! Some great tips, thanks!